Firefox or Safari using a Mac. The energy was palpable—absolutely electrifying! 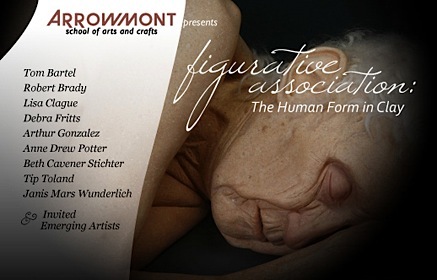 Imagine ten high-profile presenters, and another ten amazingly-talented artists invited by the presenters, in an incredible exhibition of figurative clay sculpture. Add into that mix, 125 talented-in-their-own-right participants eager to learn More, then pack in lectures, slide presentations, demonstrations, and panel discussions on the state of art today in the world of ceramics and sculpture in particular, and then you have a picture of the fantastic symposium that I just returned from—the Arrowmont School of Arts and Crafts’ figurative association: The Human Form in Clay.